First off, we’re talking here about property-secured commercial short term loans needed by business or investment borrowers in situations where their need is urgent, temporary and (often) ‘complicated’. Why not just go to the bank? A question we’re very often asked is “why doesn’t a borrower just go to his bank? !” The answer, when you think it through, is pretty straight forward. Banks don’t handle these situations well. In business lending, they take a share-of-wallet, long-term relationship approach – not a ‘platform’ that your typical short term borrower requires. cannot be processed as fast as borrowers require. For these reasons, despite a very real demand for urgent short term business lending solutions, the banks simply don’t position to meet the need. This means that the alternative lending market, where Quantum Credit operates, is large and active. 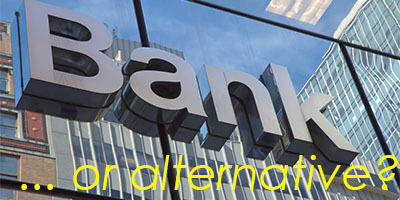 Where does an alternative lender like Quantum Credit come in? We advance funds to borrowers either to enable them to take-up business opportunities quickly, or to help them out in difficult, time-critical situations. And while about two thirds of our applications are for property related purposes, with the balance being for a wide variety of other purposes, the security in every case is a first or second mortgage over property at a realistic loan to value ratio. Read more about our funding parameters. if an assessment of the opportunity cost of not borrowing short term shows that it outweighs the cost of borrowing. We are absolutely not lenders of last resort! As evidence, about half of our loan exits are through bank refinance and the other half are via the sale of the security property. If you have a loan scenario you’re not sure about, give us a call on 1300 135 212 or complete our online loan enquiry form and let’s discuss it – you’ll be surprised at how easy we are to deal with and how flexible we can be!